I'll admit that I am terribly biased when it comes to Stewart Lee because I loved him when I was a teenager and he was skinny and not old. Luckily for me, Lee is still incredibly funny (and admittedly, still adorably cute - though that's possibly not an adjective normally attributed to him). This book is basically a transcript of his "If you prefer a milder comedian, please ask for one" show but with DVD extras (aka, the best footnotes of any author ever). It's probably not the thing if you're not familiar with Lee's style or his delivery - you won't hear his voice when you're reading and I think that's important because. Well. It's a transcript isn't it? The awkward pauses and repetition and failboatiness of his style is an integral part of what makes Stewart Lee funny and without prior knowledge of this...well, maybe get a DVD rather than a book. 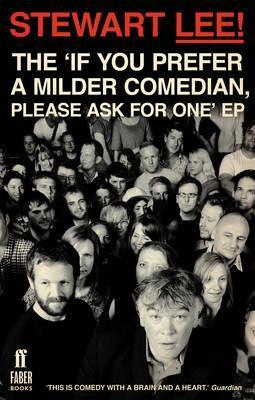 Sign into Goodreads to see if any of your friends have read The ‘If You Prefer a Milder Comedian, Please Ask for One’ EP.